Many Chinese investors have returned to India to explore potential investment opportunities in the country as tensions have calmed after a lengthy border standoff ended last month, but most investors are cautious as uncertainties remain, according to Chinese business leaders and industry insiders in India. Indian officials have expressed in recent days their desire to attract more Chinese investment to their country, but so far there have been no concrete measures to provide more policy support for foreign investors or to ensure the safety of their assets or personnel. "Many Chinese people were very frightened during the border standoff. But now that it is over, we can clearly see that more and more Chinese are coming," Chen Bing, a founder of the Bangalore Chinese Chamber of Commerce, told the Global Times on Monday. She was referring to a standoff between Chinese and Indian troops in Doklam that lasted for months before it ended on August 28 when the Indian troops withdrew to their side of the border. Chen, who runs a company that helps Chinese investors in India, said many Chinese investors stayed away from India during the standoff but have since returned. "Before the standoff, we received a group of investors almost every other day; during the standoff, there was only one group a week. Now, there are more groups again," she said, adding that Chinese investors are looking for opportunities "across all sectors" and some are trying to open factories in the country. "Probably many people feel like they have just let go of a heavy stone," Jason Wang Chao, a business veteran who has been dealing with China-India cross-border business for the past decade, told the Global Times on Monday. He said that business operations had returned to the way they were before the standoff, adding that the tension had more impact on investors who have yet to enter the Indian market. 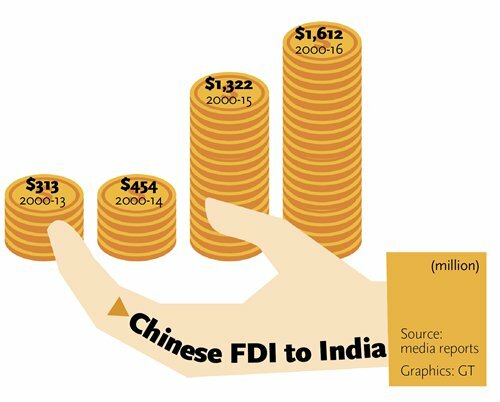 However, the return of Chinese investors to India doesn't necessarily mean that they feel more confident about the Indian market, as uncertainties still exist regarding regulations for foreign investment and future relations between the two countries. "There are more Chinese investors coming to invest and register businesses in India but it doesn't mean they have more confidence," Chen said, explaining that Chinese investors lack confidence in Indian policy, investment conditions and protection for investors and their assets. 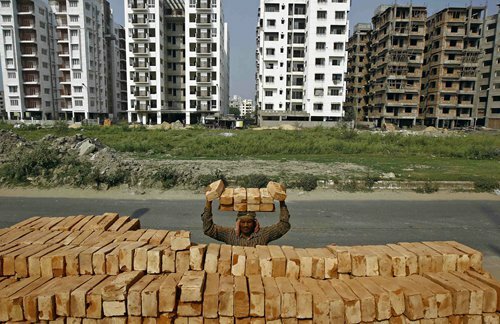 Some investors were concerned about talk of India using its Enemy Property Act, which allows the government to seize property belonging to its perceived enemies. But since the end of the standoff, Indian officials have been signaling their intention to attract more Chinese investment. In a meeting with China's Minister of Commerce Zhong Shan on Saturday in Manila, the Philippines, Indian Commerce Minister Suresh Prabhu called for more Chinese investment in India and said there would be "facilitating measures, including in SEZs [special economic zones]," The Hindu reported. Chen said on Monday that this is a positive development and that many Chinese investors are keeping a watchful eye on any progress. "But so far there have been no specific, effective measures coming from the Indian government, for either Chinese investors or foreign investors," she added. Wang also said that the Indian government would continue to provide more policy support for attracting foreign investment, "but it won't give Chinese investors special treatment." As well as the lack of concrete measures to support Chinese investment, the Indian government has not resolved the issue of slow processing of Chinese business visa applications. During the standoff, Chinese citizens were more likely to be questioned or even denied entrance at the airport, but now the Indian Embassy has tightened the process for approving business visas, according to Chen. She said that despite all these difficulties, Chinese investors are still very interested in the Indian market, as risks exist anywhere. "One investor told me today that 'no one can guarantee that there will be no problems in China-US relations or China-UK relations,'" she said.